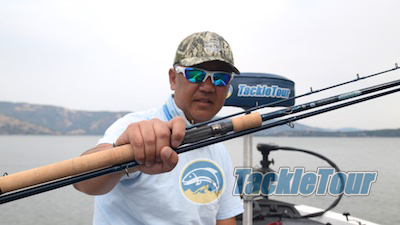 Introduction: If there's one little niche missing in the fishing market, it's the availability of multi-piece, higher end fishing rods for travel. Don't get me wrong, there are choices, but I've yet to find an enthusiast worthy choice in terms of quality, components, and aesthetic. I mentioned this in conversation with St. Croix's president, Paul Schluter, during last year's media appreciation event on Lake Powell, AZ, and he asked me if I've seen their Legend Trek series. I had not. Introducing St. Croix's Legend Trek Travel Series. He went on to explain to me the series was relatively new, but within their "Legend" brand, so the entire build is on the higher end scale as I had been searching. Shortly after I returned home from the trip, he sent over a sample for me to check out. 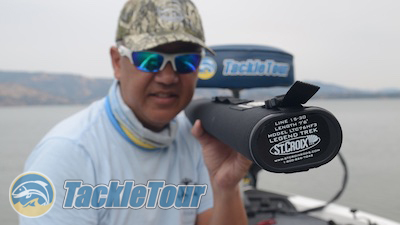 Here now is our review of St. Croix's Legend Trek LTC76HF! Quality/Construction: The Legend Trek LTC76HF is a three piece, 7'-6" stick made from St. Croix's SCIV graphite. 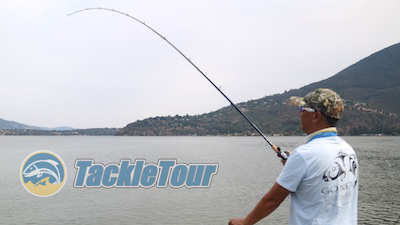 This is the same graphite used in their Legend Tournament series of rods. 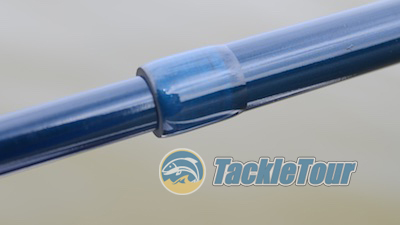 The built rod is finished with a glossy dark blue paint with a very faint metal flake. The rod's full rear grip and foregrip are made of good quality cork and once assembled, our 3-piece rod's blank is straight and the guides are well aligned. ... three pieces of a single rod. Assembled and paired with a Revo Winch - ready for action. Performance: There are eight different models in the Legend Trek lineup, four each in spinning and casting. The spinning powers range from medium light through heavy and the casting powers range from medium to extra heavy. The LTC76HF is every bit its heavy power rating. In fact, this stick is so long and powerful, I decided to fish it like a swimbait rod. How many of you would like a 7'-6" swimbait rod that you can break down and carry with you in the overhead compartment on an airplane? 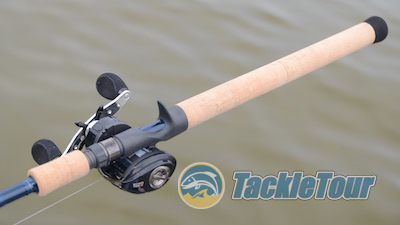 Despite its multi-piece design, the LTC76HF fishes like a one-piece rod. Casting: I matched the LTC76HF up with my trusty Abu Garcia Revo Winch spooled with Sunline FX braid and tipped with a monofilament leader of 20lb Sunline Super Natural. 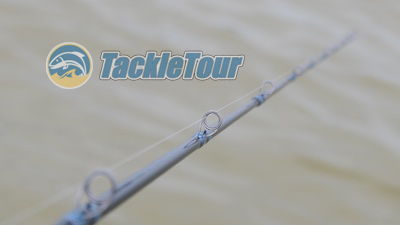 The lure weight rating on this stick is from three quarters of an ounce up to two full ounces (3/4oz - 2oz). Here's a look at the super clean ferule. Naturally, everyone's concern with multi-piece sticks is whether or not you can tell they're not one piece once assembled and you're fishing. I'm happy to say, the LTC76HF loads and casts like a one-piece stick and has an accurate, if not a little conservative lure rating. 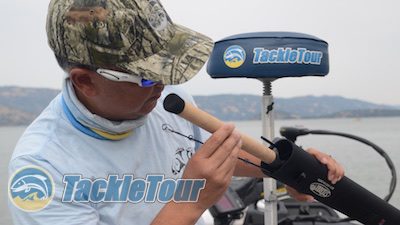 The stick can handle more than two ounces (2oz), but of course you didn't hear that from me because if you do cast more than is recommended, and something happens to your rod, you will be out of warranty. It's up to you to get the guides aligned straight. Sensitivity: In the sensitivity department, I'd say the LTC76HF behaves very much reminiscent of St. Croix's legend Trek series which is to say sensitivity is ok. It's not Legend Elite sensitive and while the blank itself feels crisp and lively, the overall build lends itself to about average sensitivity. Checking out the rod's tip and backbone before making a cast. Power: One area this stick does not lack in is power. 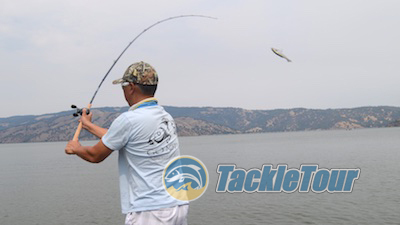 In bass fishing terms, the LTC76HF is a good candidate for all purpose, heavy powered applications. 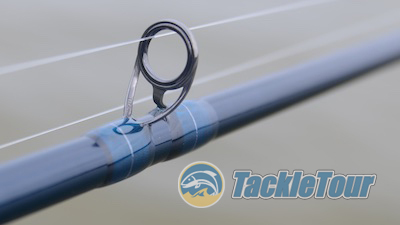 Thanks to its length and power, it makes a good flipping stick (though the taper is a little fast for punching), and of course it's very well suited for working swimbaits. Looking at the stick's RoD Deflection chart, we can see it falls quite naturally in line with the All Purpose Average from our 2008 Swimbait Rod Wars. 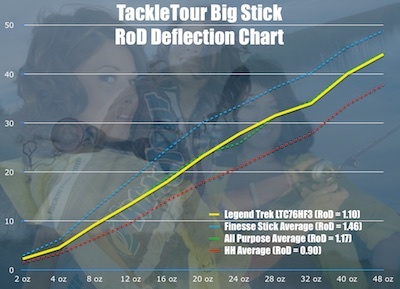 Fig 1 : The chart above illustrates the deflection characteristics of our St. Croix Legend Trek LTC76HF against the averages from our 2008 Swimbait Rod Wars. I wasn't able to catch any largemouth worthy of this stick's power and when I took this stick with me on a striper trip or two this past Fall on the California Delta, we couldn't find the fish. But from the way it handled the fish I did catch on it, it's easy to see this stick has a lot of power and affords you a lot of control over your catch. These Kigan guides feature a tangle free design with titanium frames and zirconia inserts.